It is time to pull out the catalogs that arrived a few weeks ago and place your order for bulbs that can be planted now for spring flowering. I can hear the arguments now: Ordering bulbs would be a waste of money because the squirrels will just dig them up and greedily eat them, or the deer will nibble on the flowers. I promise, all of the following bulbs are critter-proof and will provide late-winter and early-spring color in your borders. Crocus tommasinianus is commonly called snow crocus because it is one of the earliest of the crocuses to bloom. 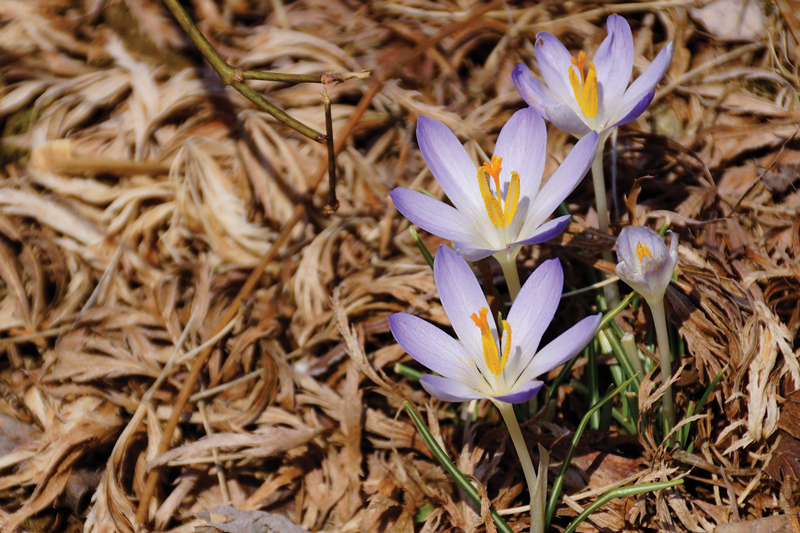 “Tommies” will bloom before the Dutch hybrid crocuses that squirrels love. This bulb is not only guaranteed squirrel-resistant, but it offers many delights. The flower color varies from pale to deep lilac with a white center. And, don’t fail to notice the stem, which is silver. Magic. The flowers close at night and open up in the morning (and usually remain closed on overcast days). Tommies naturalize by self-seeding and in time will form spectacular large drifts. ‘Lilac Beauty’ is a nice selection. ‘Albus’ is a white form. Another benefit is they will grow under a black walnut tree. Like most bulbs, they prefer sandy or gritty soils and will not do well in heavy clay soils. Do not cut back or mow the foliage, as it allows the bulbs to rejuvenate. The foliage will go dormant by late spring. 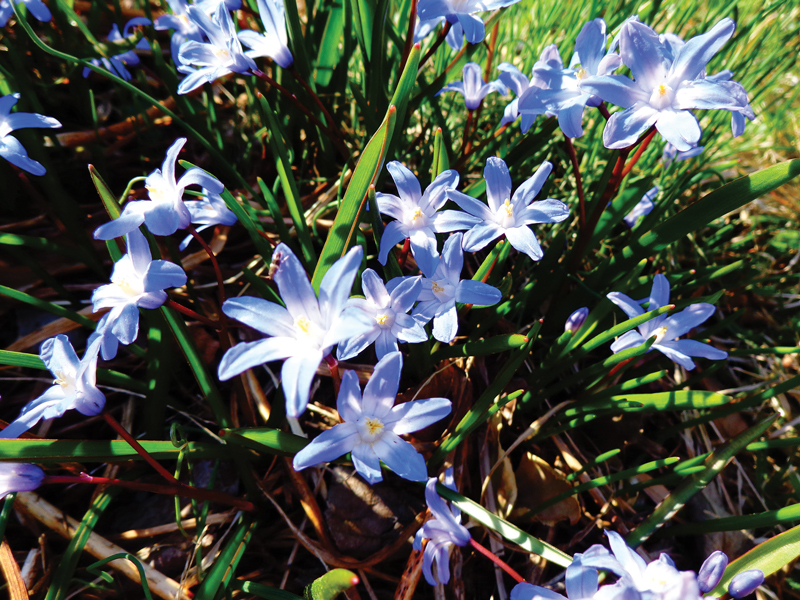 Chionodoxa, also known as Glory of the Snow, displays sprays of star-like lilac-blue to light-violet flowers with a white center March into April. It likes sun or light shade. It naturalizes easily by bulb offsets and self-seeding. In a woodland or rock garden area, it creates a lavender-blue carpet every spring. Delicate-looking but tough, it will also grow under a black walnut tree. Glory of the Snow mixes well with daffodils and snowdrops. The foliage disappears by late spring. 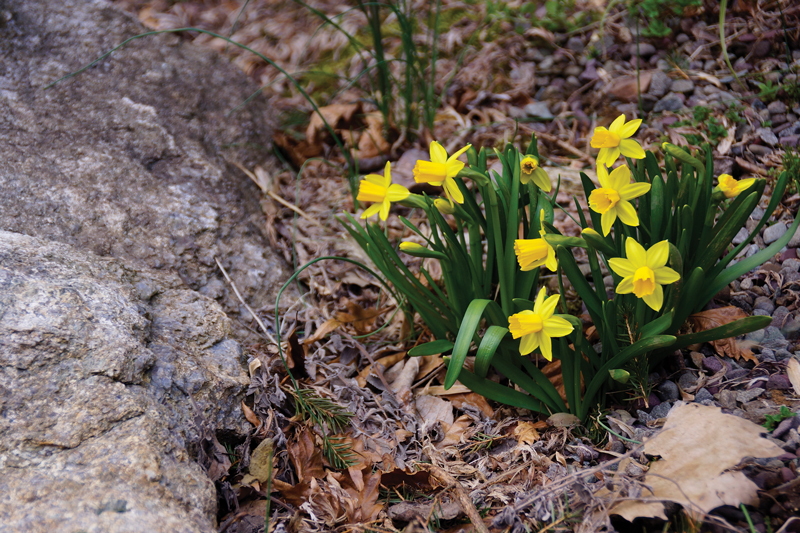 Narcissus (Group), better known as daffodils, hardly need any discussion – they are a spring favorite of everyone. Varieties are available that will flower throughout the spring. The white or yellow flowers feature six-petaled trumpet cups of yellow, white, orange, red-orange, apricot or even bi-colors. The flowers can be single or in clusters depending upon species or hybrid type. Some selections are fragrant. Passionate growers of narcissus will soon discover that they have been classified into 13 divisions. Bulbs I planted decades ago are still coming back every spring. When bloom quality and quantity decline, I will dig up clumps and divide them just after the foliage dies back. 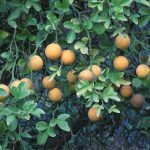 They do best in well-drained sandy soil and will rot in poorly-drained soils. Daffodils will grow under black walnut trees. After the flowers have bloomed in the spring, the flower stems should be removed to prevent seed formation, but the foliage should not be cut back until it yellows. Taller types are great in borders and open woodland areas or massed under trees. The miniature ones are excellent for rock gardens. Plant them by the bushel! Some varieties can be forced for indoor bloom in winter. The genus name honors a beautiful youth who became so infatuated with his reflection in a pond that the gods turned him into a flower. Galanthus nivalis, also known as snowdrops, seemingly emerge overnight, poking up through snow cover. The earliest-blooming spring bulbs, snowdrops display clusters of pendant-shaped white flowers in full sun to part shade. They grow particularly well under deciduous trees where there is full sun early but changes to shade as leaves emerge. 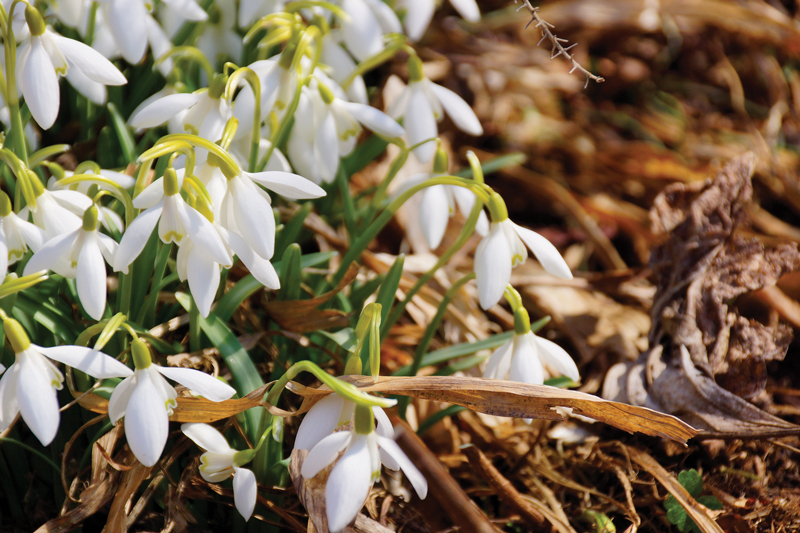 When conditions are to their liking, snowdrops will naturalize by self-seeding and bulb offsets to form large colonies. Allow the foliage to yellow after bloom; it will disappear by late spring. Snowdrops tolerate clay soil and will grow under a black walnut tree. Some gardeners report minor skin irritation from the bulbs; it is best to wear gloves when planting. Iris sibirica (Siberian Iris group) I love this type of iris because it is an adaptable plant that tolerates a wide range of soils, including boggy ones, and will grow in full sun to part shade. 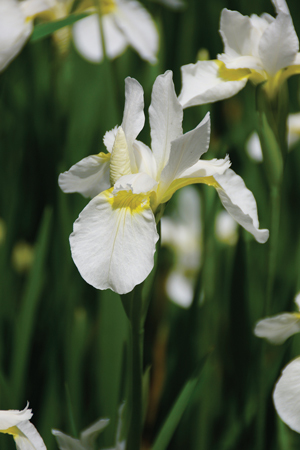 I especially like it because it is not susceptible to borers and soft rot that afflicts tall-bearded German irises. Siberian iris forms a clump of arching, narrow, linear, blue-green leaves and grows to 2-feet tall with the flowering stems rising above in May/June. The flower colors include blue, lavender, purple and white. They are beautiful in massed plantings but even a few plants can enliven almost any setting. The long-stemmed flowers make a nice addition to cut-flower arrangements (although they typically last only two days). The foliage remains attractive throughout the growing season, again, unlike the German irises. A choice deep purple selection is ‘Caesar’s Brother’. Remove flowering stems right after bloom or dry them for autumn dried arrangements. Leucojum aestivum ‘Gravetye Giant’ Summer snowflake is the common name, but it’s a misnomer since blooms appear in late April and not in summer. Dark, grassy, green leaves grow to 12-inches high and form an upright clump of foliage. White, nodding, bell-shaped flowers are pendant and dainty off tall, 18-inch stems. This is a bulb that will tolerate wet feet. 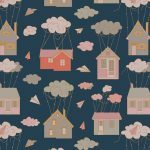 Plant in your less well-drained spring site. It tolerates clay soil and will grow under black walnut trees. 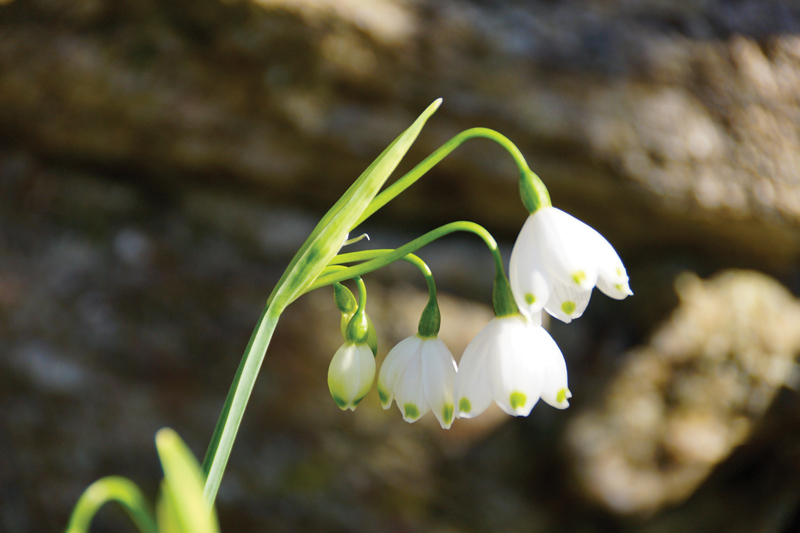 Leucojum will naturalize via bulb offsets and is spectacular in large drifts. Eranthis hyemalis or winter aconite is a frilly, green collar of leaves topped with lemon-yellow flowers that emerges through the last snow melt in late winter (even before the crocuses). 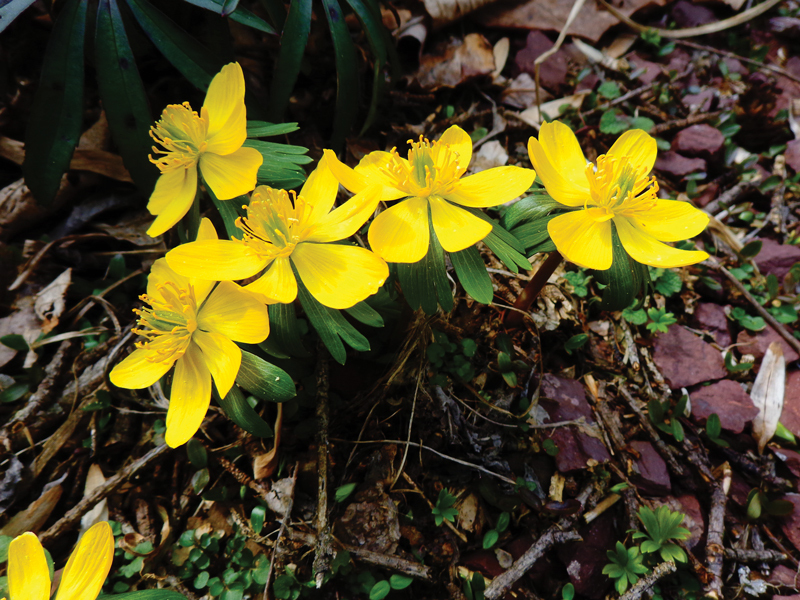 Winter aconite likes rich soil with plenty of moisture in partial shade. It reseeds and naturalizes over time when conditions are met. It will grow under a black walnut tree. Aconite goes completely dormant by late spring. Plant it where the flowers can be appreciated in late winter – perhaps outside a kitchen window or along the path to a garage.